Due to the instability of life and politics in South Sudan, many school-age students are fleeing to neighboring countries where they can pursue their studies in a more conducive environment. Boarding schools in nations such as Kenya and Uganda offer students a high school education without the looming threats of civil war, economic crisis, starvation, and the lack of basic necessities. Many of our own Hope4Sudan Primary School graduates have left the area for this very reason. Their desire, however, is to return to their people after earning their diplomas and/or degrees. As we eagerly await their return, we want to do our part in preparing them to make the biggest impact possible on their nation and the community around them. 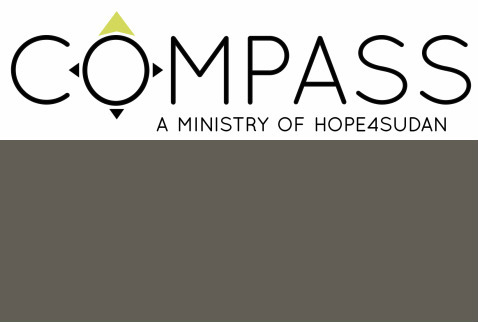 Compass, a new ministry birthed out of Hope4Sudan, launched in May of 2018. It focuses on the Hope4Sudan (and other S. Sudanese) students who are currently studying in Eldoret, Kenya. One of the goals of this ministry is to train individuals in the skills necessary for opening and operating successful micro businesses in their homeland. Classes such as Business Administration and Bookkeeping are offered to the students, with experienced teachers and business people offering mentorship and support. Because the Hope4Sudan graduates are passionate about working in the local church, Compass also focuses much time and energy on imparting the necessary skills to effectively lead a congregation. Experienced pastors and church leaders teach practical classes such as Pastoral Care and Church Administration. Church planting has proven very difficult because of the lack of trained pastors and laymen in South Sudan. Even if they’re blessed enough to find one, it’s almost impossible for a local congregation to support a good pastor due to extreme poverty. Compass is designed to help tackle this issue by not only training young men for church leadership, but by helping to establish them in micro businesses which will support them as they return home to serve the local church. Our ministry is based in Kapoeta, South Sudan, a region known as Toposaland. Consequently, ministry efforts will be primarily geared towards the Toposa tribe. For the last several decades, this people group has been exploited in almost every way imaginable. For example, to this day, the tribesmen own and operate less than 5% of the shops and businesses in their own land. We strongly feel the Lord wants to use this new initiative to help change these statistics. We’ve seen Him using Hope4Sudan’s ministry to assist locals in the areas of healthcare, education, and church-planting over the last ten years. Our prayer is that He will now use Compass to equip locals to be both passionate church leaders and successful businessmen in their homeland.